If you live in Johor Bahru and work in Singapore (or have some other need to commute frequently, student etc.) you would fill up your passport quickly if you got stamps in your passport for each entry and exit. The Malaysia Automated Clearance System (MACS) uses a sticker (with embedded with a RFID chip) that is attached to the passport and scanned upon entry and departure from Malaysia. So this removes the Malaysian stamps. MACS has been developed to cater to non-Malaysian investors, business persons and professionals. A Malaysian sponsor company is required. Working for a business in Iskandar that also required you to work in Singapore would likely qualify. This requirement is stated in some places but seems to be ignored often especially for those with a Singapore passport (which makes sense, say you are just someone who lives in Singapore and has a weekend home in JB shouldn’t you be able to use MACS?). You can apply and receive your MACS sticker at the main Johor Bahru CIQ (ask when you are there I can’t find a direct link on their web site). 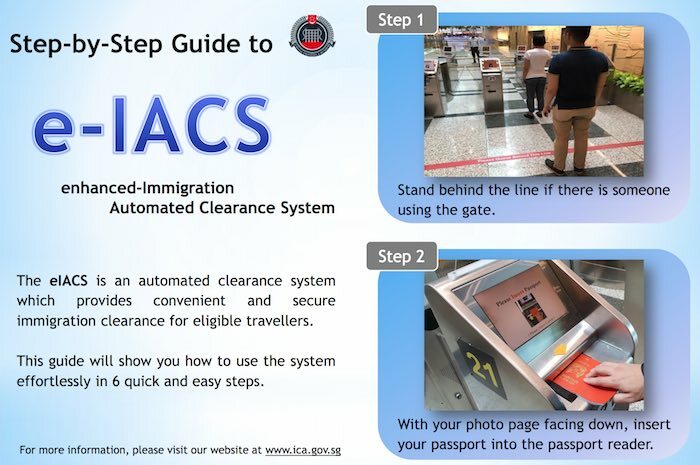 Singapore has the Enhanced Immigration Automated Clearance System (eIACS) for Singapore citizens, permanent residents and Long Term Pass holders and Work pass holders. See the link for various conditions. It might only be available for those with Malaysian, USA, UK, Chinese or Australian passports (I am not sure on this part). Please add your comments on your experience or suggestions related to commuting between Singapore and Johor Bahru. The potential for Iskandar, and the extended Johor Bahru, region remains strong. But the lack of progress on transportation issues for getting back and forth from Singapore are a huge problem for anyone wanting to think about living in the area now. I also remain worried about the huge imbalance between a huge boom in luxury condo development and the lack of a similar visible increase in high paying jobs to afford the huge numbers of luxury condos coming on the market now, and over the next 5 years. The imbalance between office buildings and the huge numbers of luxury condo high rises continues to be a big warning sign I think. Add to that the very poor job done thus far dealing with the very initial stage of what will soon be a flood of cross border traffic is a huge warning sign that investors should heed. The cooling measures on real estate investment were wise, though late (I would have done it a bit differently but overall taking cooling measure was, and is, a good idea). There needs to have been more done sooner on the cross border transportation issues – a 3rd link should have been operational last year. The MRT should be under construction now. And more focus should be on bringing in high paying jobs to fill office buildings and then getting those built. Without much more progress on transportation and many more high paying office jobs the current number of luxury condo buildings should not have been allowed. The efforts on health care and education and the good jobs they provide, as part of the Iskandar initiative, have been good but those jobs don’t come remotely close to justifying even a small fraction of the luxury condo units under construction. Several new big hotels are a good boost for the economy (and are great tax revenue sources). Retail efforts are good (and also good for providing lots of jobs and tax revenue) but how much more can be expected there without better paying jobs elsewhere in the local economy (basically I think this is a good focus but I think everything that can be hoped for is being done)? Theme parks are a good hope for bringing in tourists and boosting the economy (and filling up those hotels and bringing in tax revenue and providing jobs). It seems to me the very bad transportation problems over the last year in moving between Singapore and JB are a big problem for investors in this area though (if I were such an investor I wouldn’t commit more investments until the situation was much improved and there was reason to believe it wouldn’t be allowed to fall back into the situation we have been living with now). The manufacturing efforts have been decent but are not very significant thus far in producing high paying jobs. One example of a mistake that is going to cause problems for decades is failing to install fiber in brand new luxury condo buildings. Even if developers don’t want to invest in the future I would not have approved building plans for luxury condos after 2010 that did not include wiring every unit for fiber. Fiber is the future of high tech living and not investing in it is not the way to become known as a future focused location. Economic development requires thinking of the future and not allowing shortcuts and cheap solutions today from capping the potential for the future. The potential for Iskandar remains as strong as it is for almost any region on the globe. But the next 10 years can build a solid foundation for long term success or can result in a system that is difficult to build upon (such as a huge imbalance in real estate, toward luxury condos for example, or a bad transportation system – which are hugely costly to deal with). The next 10 years is much more challenging to do well than the last 10 years – the begging was very easy by comparison to the challenges faced now. If it is done well, I can see the Iskandar/JB region paired with Singapore in creating one of the most vibrant areas on the globe and creating great jobs and lives for those living here (Singapore will also benefit greatly from this being done well). Tera Thai restaurant is in an old house. Tera Thai restaurant is near downtown Johor Bahru. Still some taxi drivers have a problem finding it – even with an address. 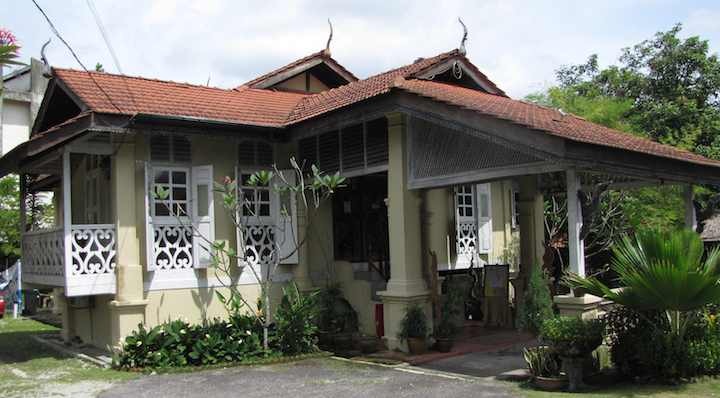 It really shouldn’t be hard it is about 2 km away from the Thistle hotel but it in a quiet area with not much else around (it is near Sri Mulia Condominium and to get to Pangsapuri Adamai Condo, you have to pass the restaurant). 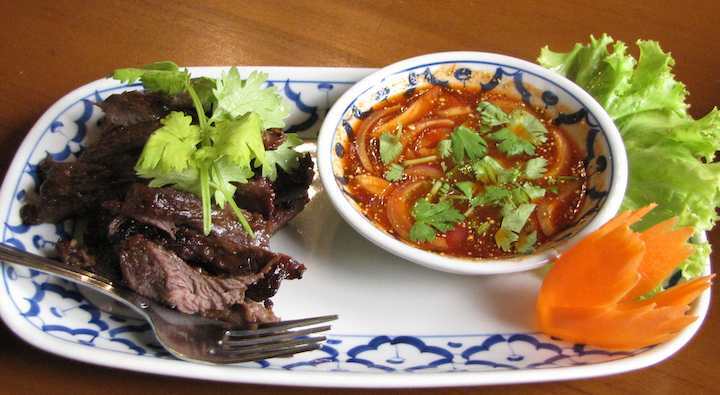 This was a great beef dish at Tera Thai, but I can’t remember what it is called. It is a very nice restaurant with a great atmosphere and good service. The food is very good. The MarketWatch web site (connected to the Wall Street Journal) provides a list of top international retirement destination and places Malaysia in the 3rd spot, after Ecuador and Panama. English as the unofficial “first language” (it is a bit of a stretch to claim this, in my opinion, but you can get by in English). Good weather with beaches, islands and jungles to enjoy. The list is packed with Central and South American options along with 2 in Europe and 2 in Asia. Rounding out the top 10 are: Mexico, Costa Rica, Uruguay, Colombia, Spain, Thailand and Malta. Here is an updated map of the basketball courts in downtown Johor Bahru. Serene park has 2 courts; one covered and 1 not covered. Pickup games are possible on the weekends and in the evenings. Mercer Quality of Living Survey, Worldwide Rankings, 2011. Selected cities to put Johor Bahru and Kuala Lumpor’s rankings in context (in SE Asia and the world). Paying bills electronically isn’t as straight forward as it should be. For example, for my electricity bill I asked my real estate agent how to pay it and was told it could only be done online through 2 banks and suggesting I try my management office or paying in person. Well after a bit of investigation I found that one option to pay online was only available through 2 banks (but that options was closed down “to upgrade and better server our customers”). But another method to pay online is available through many banks. Why real estate agents can’t even provide such basic information correctly is beyond me. I would expect such details as the very minimum to be expected of real estate agents serving expats. But sadly that seems to be the way it is. I talked to my management office and they would take the payment but only bring the payments to the electric company every few weeks so they suggested paying at any post office (we don’t have many expats at this condo so their preference for paying in person instead of finding an internet solution is not that surprising). You can also mail the payments back (but I don’t have checks or stamps yet so that option doesn’t appeal to me). If you want to pay online, go directly to your bank and go through the paying bills online section. Another bill I have to pay directly is for my internet service. There is some option to pay online but you have to print out a form, complete it and mail it back in (this is just to make a payment). I am not sure why they don’t make it easier to pay online. Partially I am sure this is a preference of some people here to pay in person. Also I am sure it is because paying staff salaries is not a huge cash drain. In countries with higher staff salaries companies make it as easy as possible to pay online and avoid paying staff to just process payments made in person. It looks like the best way to make payments is through your bank’s web site. Which is fine, now that I understand that is the way to do things. I needed a vaccination booster and so looked for a place to get such services in Johor Bahru. I tried the Clinic Australia, near Plaza Pelangi, and was happy with the results. The clinic is located behind the Plaza Pelangi in the strip mall that hosts a few popular restaurants including: Rosmarino (Italian), Warakuya (Japanese) and Mulligan’s Irish Pub. 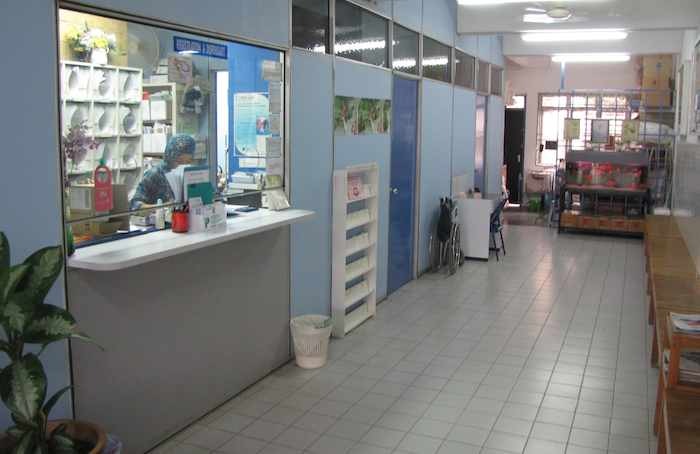 The clinic is a small operation in a strip of shops. I don’t think you can make reservations, I didn’t anyway, you just show up and wait as people are taken care of. They offer vaccinations and check ups (for visa, pre-employment and insurance). They also offer flu shots. The waiting room is half of the available space (I think). 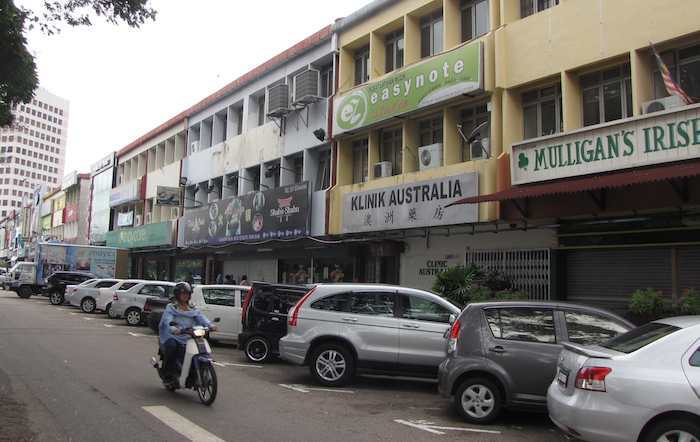 Address: 37 Jalan Kuning 2, Taman Peangi, 80400 Johor Bahru.